Green tea vs. black coffee, which should you drink? And is one better than the other? 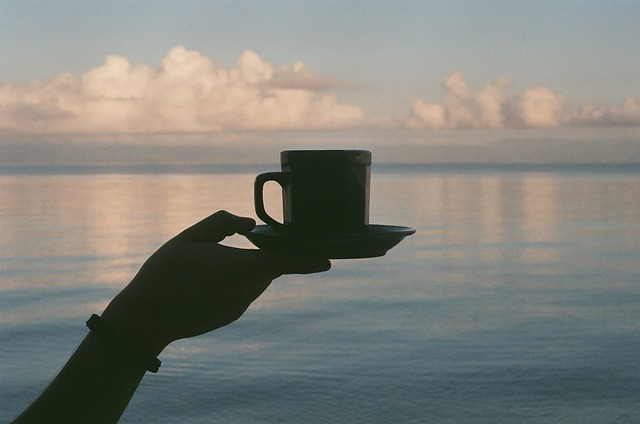 Coffee and tea are the most consumed beverages in the world, depending on which area of the globe you’re in. While some people do drink both, you’re often favorable to one rather than the other. It’s either you liked coffee and drink it on a regular basis or you’re a tea drinker. So what’s the difference between black coffee and green tea? We take a deeper look at how these 2 beverages affect your health. Both green tea and coffee have been recognized in the scientific and nutrition communities for their antioxidant properties and health benefits. Studies on green tea have predominantly focused on catechins, powerful antioxidants that demonstrate the ability to repair healthy cells and potentially fight certain types of cancer. The antioxidants and other polyphenols present in green tea have also demonstrated the ability to decrease digestive inflammation in individuals with IBD, promote weight loss and boost metabolism, decrease liver inflammation, as well as regulate blood sugar levels in borderline diabetic individuals. While green tea boasts an impressive list of antioxidant properties, cup for cup, coffee actually contains more. In fact, coffee is the number one source of antioxidants in the American diet, due both to the concentration in the beverage, and the frequency of consumption. According to research by scientists at the University of Oslo in Norway, green tea has around 1.5 mmol/100 ga in antioxidant content while coffee comes in with an antioxidant content of 2.5 mmol/100 ga.
And considering that 59% of American adults drink coffee to the tune of 1.9 cups daily, the total amount of antioxidants obtained from this beverage outpaces that from green tea. red wine at 2.5 mmol/100 ga. If you’re an avid coffee drinker and want to get the biggest boost in antioxidants, go for espresso, which blew every other drink away with 14.2 mmol/100 ga.
Do note however that while the figures measure the total amount of antioxidants, each of the beverages contain varying kinds. For example green and black tea, which come from the same plant contain antioxidants including epicatechins, thearubigins and catechins. These are different from those found in fruits and vegetables, as well as coffee. This makes them more complementary rather than competitors as they function differently to protect us from cell damaging free radicals. The antioxidants in coffee meanwhile, have also shown to be protective against certain types of cancer and diabetes, and additionally are thought to aid in the prevention of cognitive decline, and even potentially prevent diseases like Alzheimer’s. Like green tea, the antioxidants in coffee may also promote weight loss and prevent obesity. These benefits, however dissipate once cream and sugar are added. It is important to remember that quality plays an important role in the nutrient content of both coffee and tea. 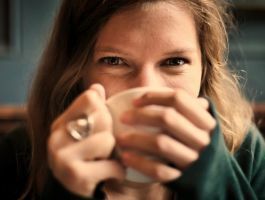 Higher quality coffees and teas will certainly contain more nutrients than their pre-packaged, convenience counterparts. Similarly, brewing methods and times also impact caffeine and antioxidant levels. Choosing between coffee and green tea on the basis of antioxidants alone certainly gives coffee the advantage. However, the choice becomes less clear when caffeine content is considered. Brewed coffee can contain as much as four times the caffeine content as green tea, which promotes higher blood pressure, puts more stress on the adrenal glands, can cause headaches and negatively impacts sleep cycles. According to the Mayo Clinic, an 8 oz. 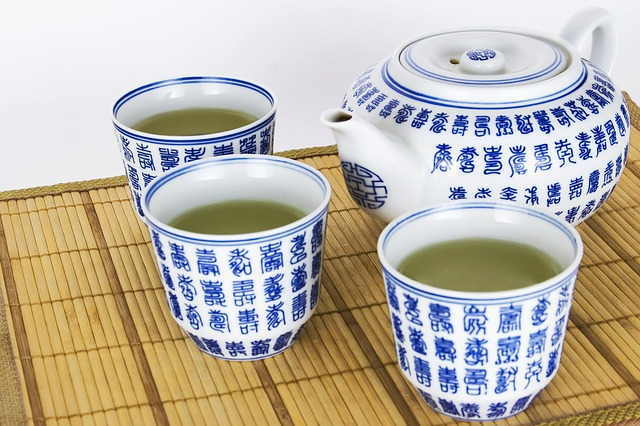 cup of green tea will have anywhere between 24 to 45 mg of caffeine. The same 8 oz. 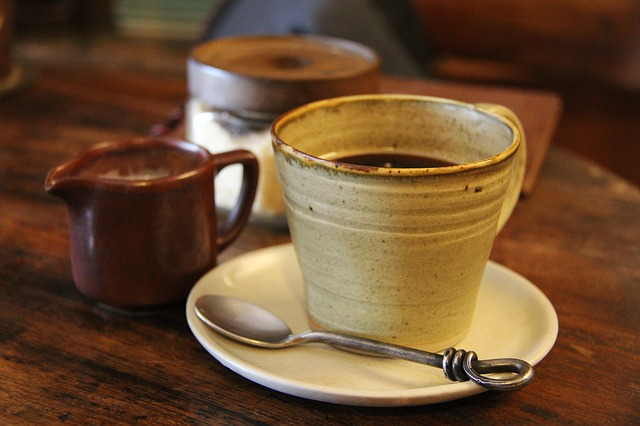 cup of regular brewed coffee meanwhile, averages anywhere from 95 to 200 mg of caffeine. It is for this reason that limiting the amount of coffee (and tea) you consume on a daily basis is advised by medical experts. Caffeine offers a number of health benefits but only when consumed in moderation. 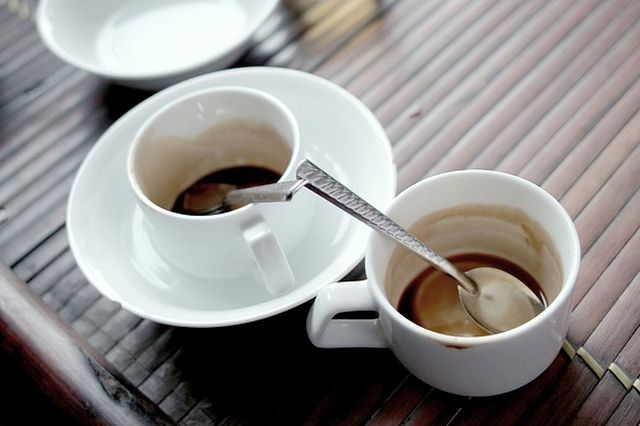 Researchers put the safe limit of caffeine consumption at 400 mg per day. Beyond that you may start to experience some negative effects. This amounts of 2 to 4 cups of coffee depending on the brand or type of get. Caffeine is less of an issue with tea because of it contains less of the ingredient. Plus, people tend to drink less tea. Despite the negatives side effects, caffeine consumption has also been linked to increased cognitive function, better reflexes and improved muscle performance, as long as it is done in moderation. 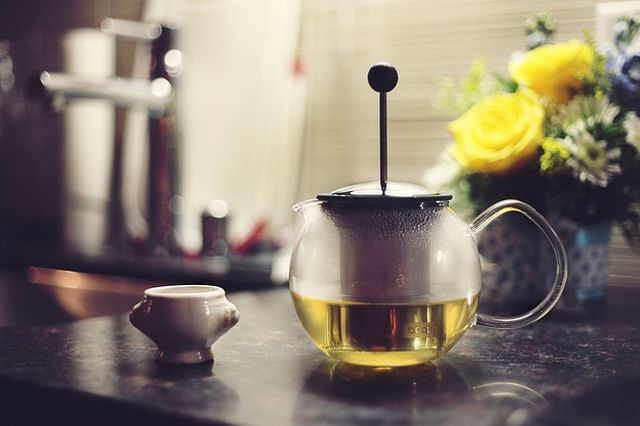 While coffee might benefit someone looking for a quick burst of energy or boost in brain function in the morning, green tea a better choice for those looking for a more steady lift throughout the day, or late afternoon consumption. Because of the increased muscle performance, coffee might be the better choice for someone looking for a burst of energy before a workout. Studies have shown that drinking coffee before exercise can actually increase the duration and power output. One study indicated that drinking coffee before working out actually increased pain tolerance, which could account for some of the performance benefits. Additionally, consuming coffee before a workout increased fat burning and metabolism. While green tea also demonstrated positive results when consumed pre-workout, the effects were milder. 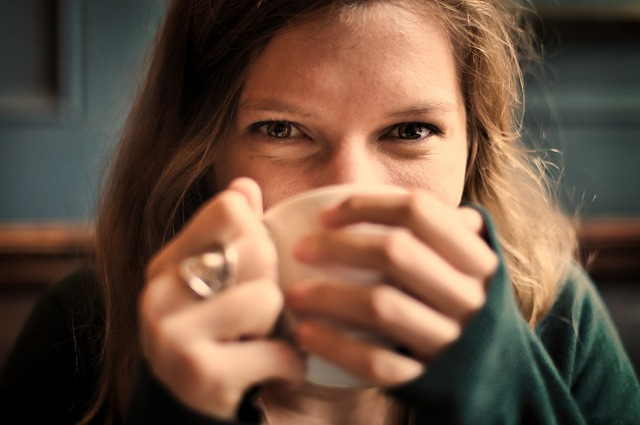 Another benefit to consuming both coffee and green tea, is the impact these beverages have on mood. Prolonged caffeine consumption has been shown to increase serotonin, acting much like many antidepressants. While traditionally, coffee has been associated with improving mood due to its caffeine content, green tea is not without its own mood enhancing effects. Green tea leaves contain the amino acid L-theanine, which has demonstrated stress-reducing and mood lifting properties, and works synergistically with the caffeine found in green tea. As larger doses of caffeine increase the body’s stress response and can lead to anxiety and depression, the lower caffeine levels in green tea, combined with the stress-relieving properties of L-theanine make green tea the better choice for mood regulation. All the information above sheds light on what these 2 beverages offer to our health. However, one of the most important things to remember is that the how you take your coffee and tea is a factor on how it can affect your overall health. For example, if you take your coffee with a lot of sugar, not only are you adding extra calories but also the side effects that sugar does bring with it. Many coffee drinkers also add cream, which also contains its own amount of fat. For example, 2 teaspoons of sugar for example adds 32 calories and 8.4 grams of sugar to your daily consumption. 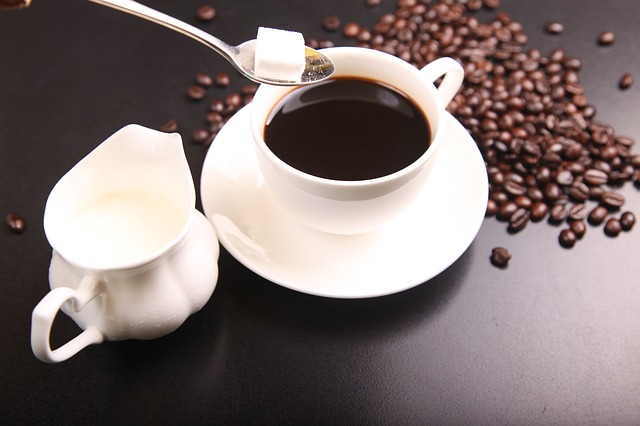 Adding an extra packet of coffee creamer adds another 16 calories to it. For tea drinkers meanwhile, preparing it with boiling water is the way to go. However, depending on what extra flavors you include or if you decide to make iced tea and add sugar, then the overall nutrition value of the drink changes as well. The issue of green tea vs. black coffee really boils down to which one you prefer. They both offer benefits to health as long as you consume them in moderation. That said, one will serve you better than the other depending on what you want to get out of it. If you’re looking for a boost, jolt, or an extra kick in performance coffee offers a good answer because of the caffeine content in it. However, you’ll want to limit yourself to between 2 to 4 cups, preferably the lower end of that in order to avoid its negative effects. For weight loss however, as well as something to help regulate your mood and calm you down, tea is a better solution.